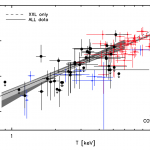 The XXL Survey is a deep X-ray survey observed with the XMM satellite, covering two fields of 25 deg2 each. Observations in many other wavelength, from radio to IR and optical, in both imaging and spectroscopy, complement the survey. The main science case is cosmology with X-ray selected galaxy clusters, but other fields such as galaxy evolution, AGNs, cluster physics, and the large-scale structure are being studied. The main paper (Paper I) describing the survey and giving an overview of the science is arXiv:1512.04317 (Pierre et al. 2015). 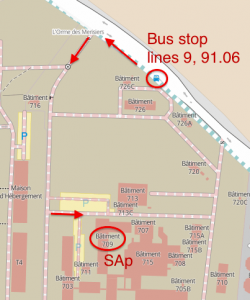 Paper IV (arxiv.org:1512.03857, Lieu et al. 2015) presents weak-lensing mass measurements of the brightest clusters in the Northern field, using CFHTLenS shapes and photometric redshifts. 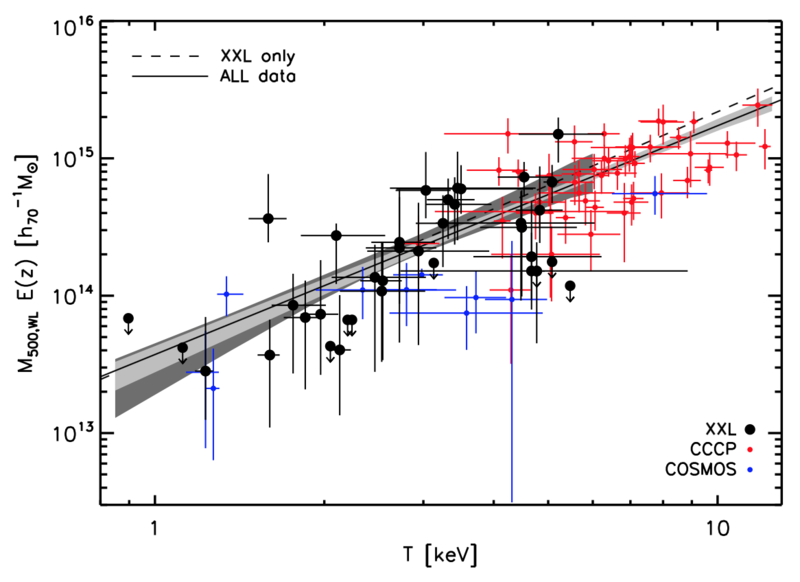 The mass-temperature relation for XXL and other surveys (CCCP, COSMOS), Lieu et al (2015).